The best way to learn about wild mushrooms is to join a local mycological club. There you can safely learn to identify both good and bad mushrooms. 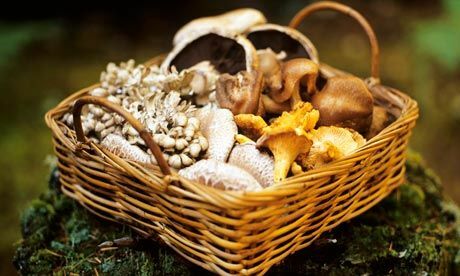 It is not hard to learn to identify some of the top edibles, since there are usually only a few key characteristics that distinguish a particular mushroom. Fortunately, almost all the choice edible mushrooms are easy to identify once you become familiar with them. Please note that it is not safe to identify mushrooms only from a book, a photo, a website, etc. Once you learn to identify mushrooms, participating in forays is a wonderful way to get outdoors and go on a treasure hunt. All you need is appropriate clothing, a wicker basket or mesh bag, plus a small knife and brush. A whistle or FRS radio is helpful for staying in touch with your group.